When a PR email about the infused SKYY vodkas hit my mailbox, one cocktail recipe in particular caught my interest. 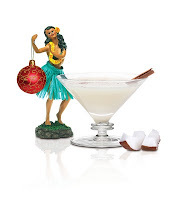 That was the Mele Kalikimaka (Hawaii's way of pronouncing "Merry Christmas" and now also a song once recorded by Bing Crosby). Combine all ingredients in a cocktail shaker with ice. Shake vigorously and strain into martini glass. Top with sprinkling of nutmeg and cinnamon and garnish with a cinnamon stick. 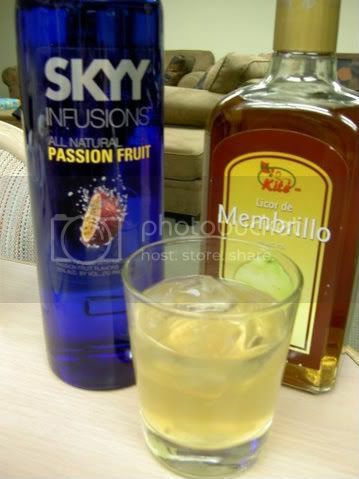 I got samples of the SKYY Infusions Pineapple and Passionfruit and last weekend tried a "punch" using the passionfruit.